Brand new and high quality 2.4 wireless keyboard and mouse combo. 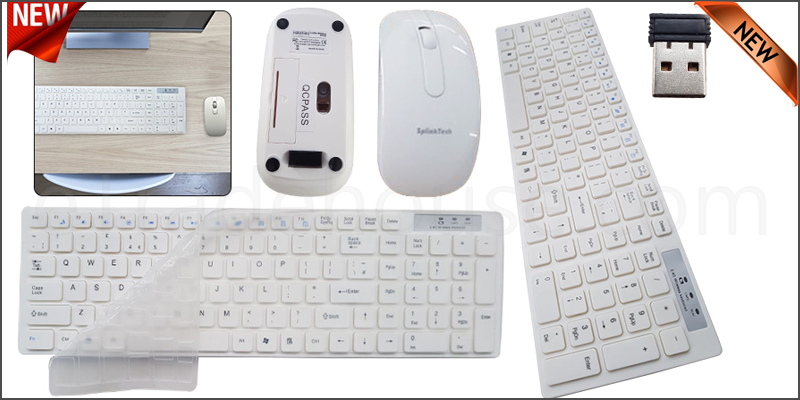 Soft touch keyboard with comfortable typing ability and a working distance of up to 10 meters. Features a very stable Bluetooth keyboard compatibility which you can use for emails,chat or enjoy your favorite games. It is compatible with desktop computers and laptops running Windows. Use it on your Sofa or browse the internet in the most comfortable fashion. 10 M long range wireless.